I am often ridiculed for the amount of water I drink in a day. My friends say, "You're going to bring down the water table in your community"! Well, I drink about 2-3 litres of water a day, and know for sure its normal for someone who exercises regularly. This morning, I read in the newspapers about a woman in California who took part in a water drinking competition to win herself a Wii and ended up dead in a few hours. For those of you trying hard to drink enough water for clear skin, detoxify your body or fill yourself up to avoid eating, or any other reason, this is a must read. 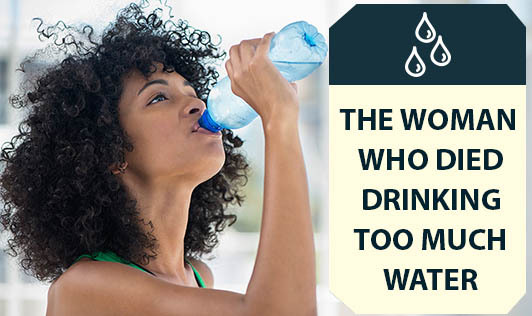 Water intoxication is the term used to describe this condition. Water is a very essential nutrient in the body that plays a role in maintaining blood pressure and a balance of salts in the body. The kidney is responsible in removing excess water from the body. Drinking large volumes of water over a short period of time, can affect the way your body handles this overdose. Your blood gets diluted and the water starts moving into the cells. The cells get swollen up with water and this changes the pressure inside, especially in the brain cells. The brain cells start swelling up and can't expand further and this can seize breathing and cause death. The overload of water disrupts the balance in your body and places an extra load on the kidney causing the kidney to give way. The symptoms of intoxication are headache, hallucination, confusion, inappropriate behaviour, disorientation, seizure, coma and death. Many times, people with such symptoms are wrongly diagnosed with mental disorders. It is therefore, recommended not to over indulge in anything just because it is good for you. Listen to your body and respond to instincts. Drink water when you are thirsty and make sure you get at least about 1.5 to 2 litres a day. If you are physically active or are involved in sports or exercise, your requirements will be different. Look for changes in the colour of your urine and skin to know how much water you need. The bottom line, Do not overdo something just because it's good for you!